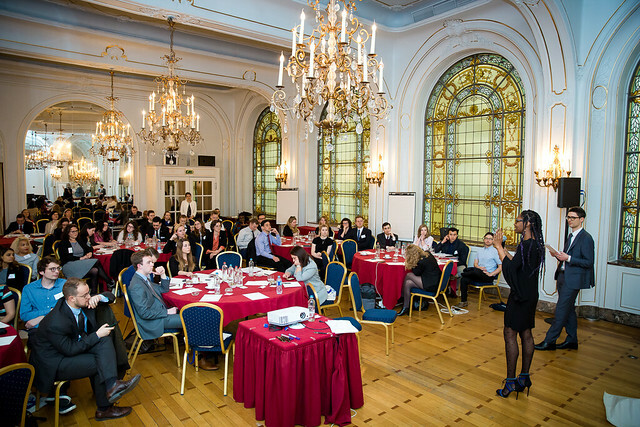 From 7 to 10 April 2019, the Fulbright Commission in Brussels facilitated the participation of 27 current American Fulbrighters and 25 European alumni of EU-funded exchange programs in the 2019 EU-US Young Leaders Seminar on “Shared Transatlantic Challenges: Disinformation & the Changing Media Landscape”. 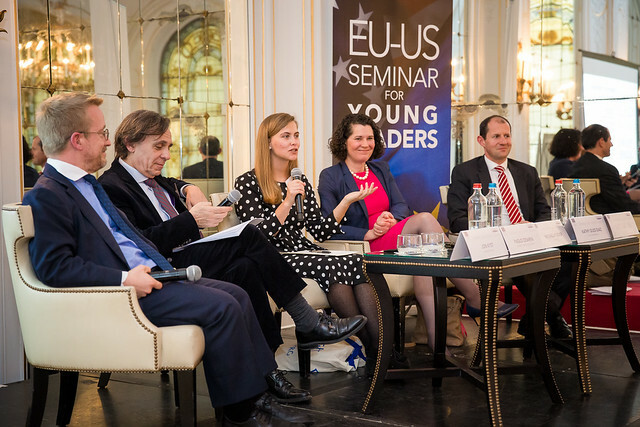 The EU-US Young Leaders Seminar was held for the first time in April 2017, when fifty young leaders from the United States and Europe came together to discuss the challenges and opportunities presented by the economic, educational, and cultural integration of migrants and refugees. Guest speakers included representatives from the European Commission, the U.S. Mission to the European Union, the European Economic and Social Committee, DAAD, European Network Against Racism, Migration Policy Institute, and more. 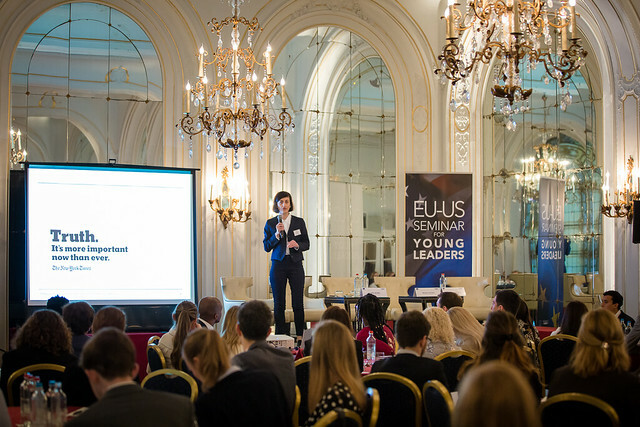 A second iteration of the seminar was held in April 2018 focusing on the future of work. Guest speakers included representatives of European Commission, the U.S. Mission to the European Union, International Labour Organization, and European Trade Union Confederation. 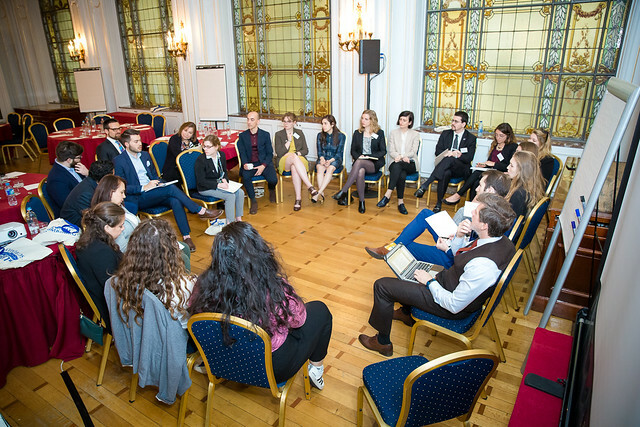 After a successful first two years, the U.S. Department of State’s Bureau of Educational and Cultural Affairs (ECA) and the European Commission again approved funding for a third iteration of the Young Leaders Seminar, with a focus on disinformation and media literacy. 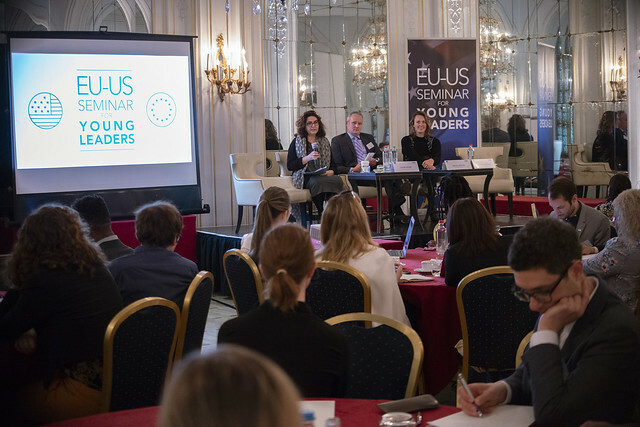 Organizers of the EU-US Young Leaders Seminar include the Fulbright Commission in Brussels, the European Commission’s Directorate-General for Education, Youth, Culture, and Sport (DG-EAC), the European External Action Service (EEAS), and the U.S. Mission to the European Union. Additional support for the 2019 seminar came from the European Commission’s Directorate-General for Communications Networks, Content and Technology (DG-CONNECT). 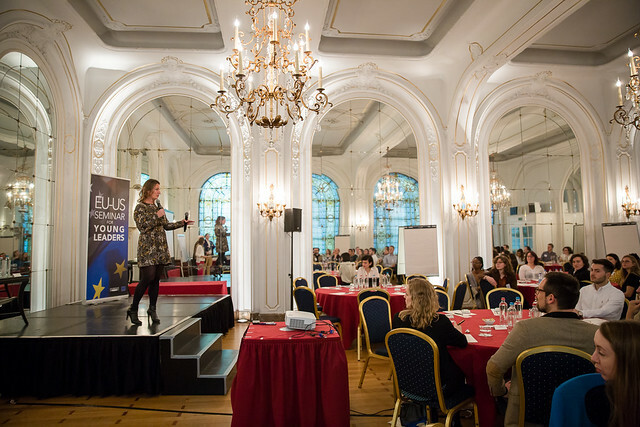 The seminar began on Sunday evening with an opening dinner in the historic Hotel Metropole, a nineteenth-century landmark in Brussels whose ornate conference rooms provided the backdrop for the entirety of the seminar discussions. 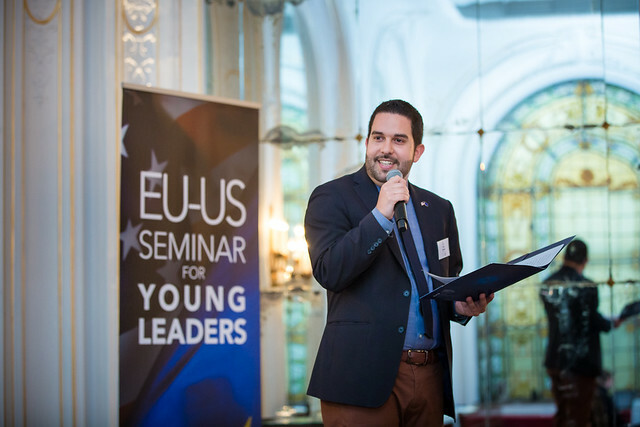 Things kicked off with remarks from seminar organizers, including Erica Lutes, Executive Director of the Fulbright Commission in Brussels, and Tim Rivera, Programs Officer at the Delegation of the European Union to the United States. Remarks from Walter Parrs of the U.S. Mission to the European Union, Irene Sabio Gallego of the European Commission (DG-EAC), and Scott Righetti of the U.S. Department of State (ECA) rounded out the evening. 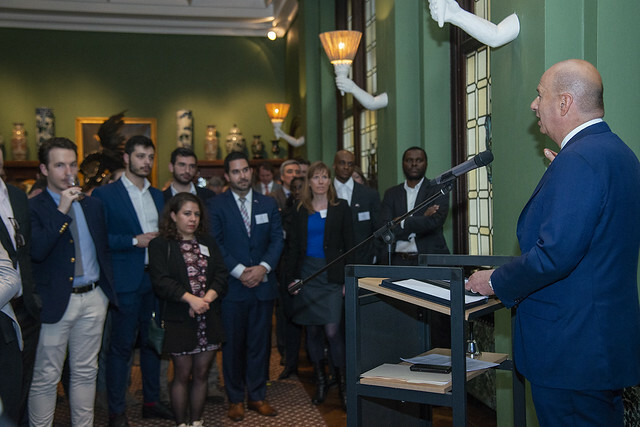 On Monday morning, remarks by Brian Denver of the U.S. Embassy to Belgium and Claire Morel of the European Commission (DG-EAC) officially opened the seminar. Both speakers highlighted the importance of programs like the Fulbright Program, Erasmus+, and the Marie Skłodowska-Curie Actions in the transatlantic relationship and spoke briefly about EU and U.S. approaches to the topic of disinformation and media literacy. 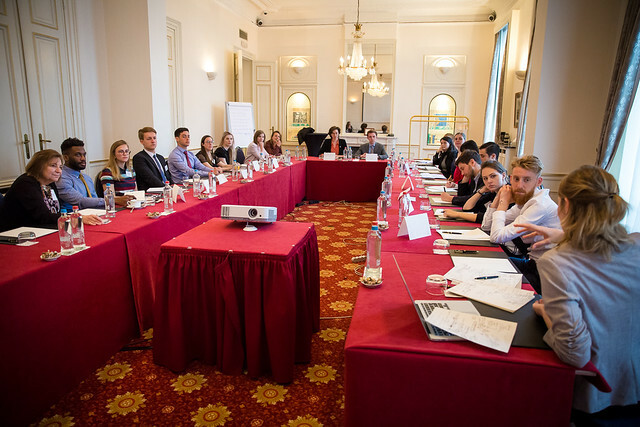 Seminar participants included 27 current participants in the 2018-2019 Fulbright U.S. Student Program, currently based all over the European Union and surrounding region, including in Norway, North Macedonia, Serbia, and Turkey. The Fulbright Commission was particularly delighted to include for the first time participants from the Fulbright Programs in Cyprus, Estonia, Latvia, and Lithuania. Participants on the American side included graduate students, researchers, and a number of Fulbright English Teaching Assistants. On the European side, the 25 participants were comprised of alumni and current participants of EU-funded exchange programs like Erasmus+, Erasmus Mundus Joint Master Degree programs, and the Marie Skłodowska-Curie Actions. European alumni of the Foreign Fulbright Student Program nominated by the Fulbright Commissions in Denmark, Germany, Greece, Italy, Romania, and Spain rounded out the group. Given their diverse academic and professional backgrounds, seminar participants came with varying levels of familiarity and experience in the seminar topic of disinformation and media literacy. An initial presentation on “Framing the Discussion” by Sophia Ignatidou of Chatham House, who presented her initial findings of her research paper on “EU – US Cooperation to Tackle Disinformation”, was key in providing an overview of EU and U.S. approaches to disinformation and giving participants the tools with which to tackle the complex and multi-faceted discussion. Over the course of the seminar, expert panels representing the private sector, the public sector, and civil society addressed three aspects of disinformation and media literacy. 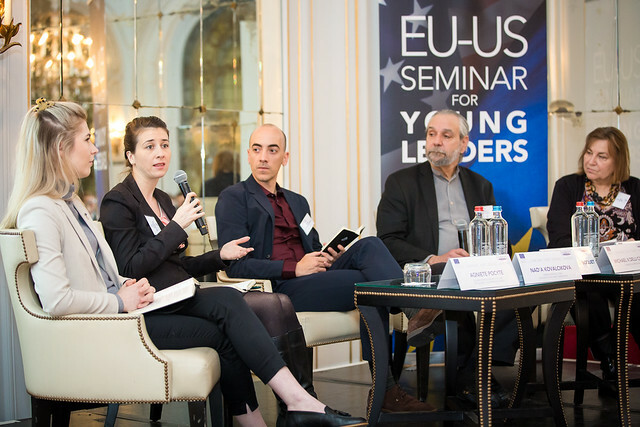 On Monday morning, a panel discussion on “The Private Sector Shapes the Debate” was moderated by seminar participant Mariam Karout and brought together representatives from Facebook, Google, and Mozilla as well as veteran journalist Miranda Spivack, herself a 2018-2019 Fulbright Scholar to North Macedonia. Panelists shared updates about their platforms’ ongoing efforts to promote media literacy, responded to questions about the role of the private sector in combating disinformation, and addressed the importance of transparency. Participants later heard from the public sector. Seminar participant Michaela Tucker, a Fulbright English Teaching Assistant to Spain, moderated a panel discussion on “Government Response to Disinformation.” Participants included Paolo Cesarini of the European Commission (DG-CONNECT), Kathy Giles-Diaz of the U.S. Department of State’s U.S.-European Regional Media Hub, Jon Kyst of the EEAS East Stratcom Task Force, and Lutz Güllner of the EEAS Stategic Communications Division. 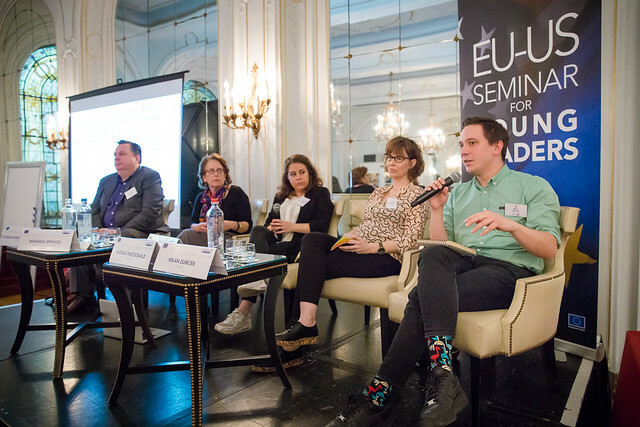 On Tuesday, a final panel discussion on “Civil Society and Shared Solutions” brought together a diverse set of perspectives from academia and the NGO world in a discussion moderated by seminar participant Joel Santaeulària Boquet. Panelists included Dr. Michael X Delli Carpini, a professor at the University of Pennsylvania’s Annenberg School for Communication, Dr. Nad’a Kovalcikova, a program manager at the German Marshall Fund’s Alliance for Securing Democracy, Tessa Jolls, the director of the Center for Media Literacy, and Agniete Pocyte, a graduate researcher and seminar participant studying Lithuanian response to Russian disinformation. In addition to panel discussions with experts, the seminar took advantage of participants’ own expertise during a series of small-group, free-form breakout sessions. Participants were divided into small breakout groups, each headed by session facilitators. Group facilitators included Samuel Danzon-Chambaud, Cecilie Kallestrup, Brendan Keenan, Radu Serrano, Mecca Slaughter, and Victoria Sunseri. Facilitators were responsible for taking notes and presenting their conclusions at the end of the seminar. A lively reception on Monday evening hosted by U.S. 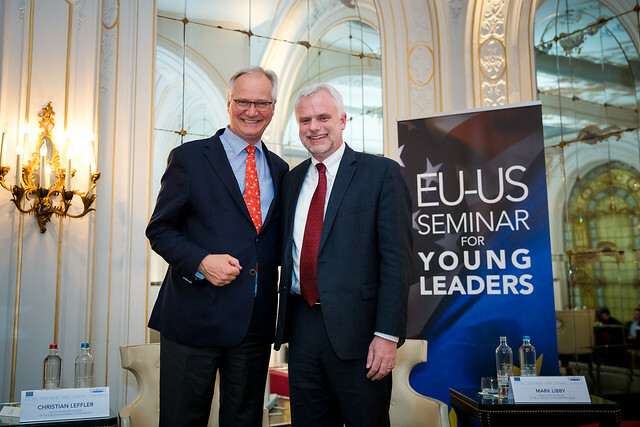 Ambassador to the European Union Gordon S. Sondland at the University Foundation in downtown Brussels underlined the support of the U.S. Department of State and the European Commission for the mission of the EU-US Young Leaders Seminar. 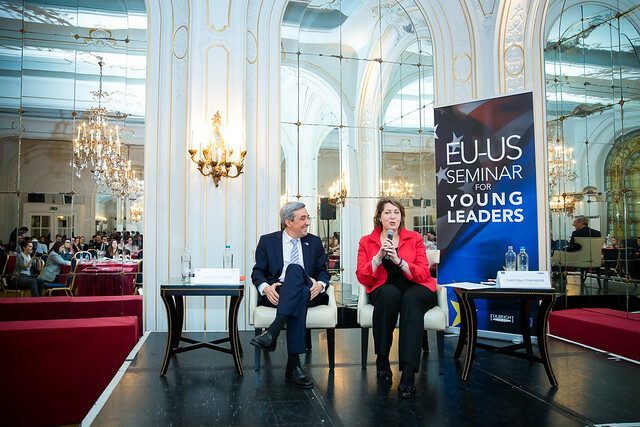 Guests, among which a number of student participants in the 2017 and 2018 EU-US Young Leaders Seminars, listened to remarks from Ambassador Sondland and from Dr. Hilde Hardeman, Head of the European Commission’s Service for Foreign Policy Instruments. 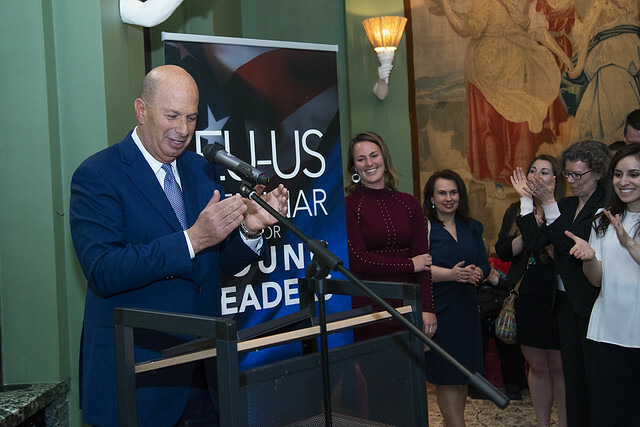 Both Ambassador Sondland and Dr. Hardeman spoke to the importance of exchange programs like Fulbright and Erasmus+ in maintaining and promoting the transatlantic relationship and encouraged participants to keep up their good work. Closing remarks highlighting the importance of the transatlantic relationship and the role of young leaders were then delivered by Christina Tomlinson, the Minister Counselor for Public Affairs at the U.S. Mission to the European Union, and Javier Niño Pérez, Head of the US & Canada Division at the European External Action Service. 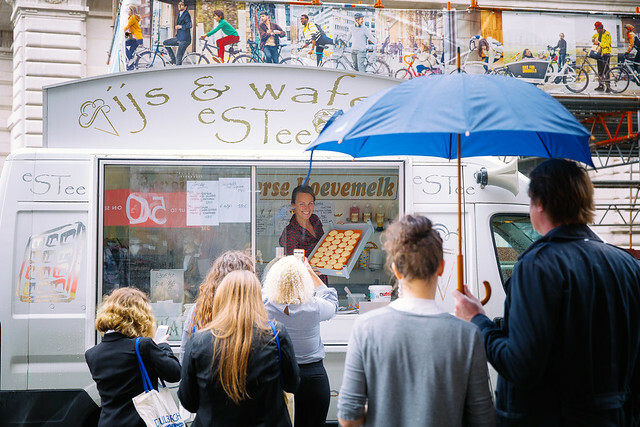 The seminar ended with a uniquely Belgian twist as participants braved the rain for a fresh gaufre de Liège — served with a smile and their choice of toppings by Fulbright Executive Director Erica Lutes. The sweet treat was the perfect end to a productive seminar! 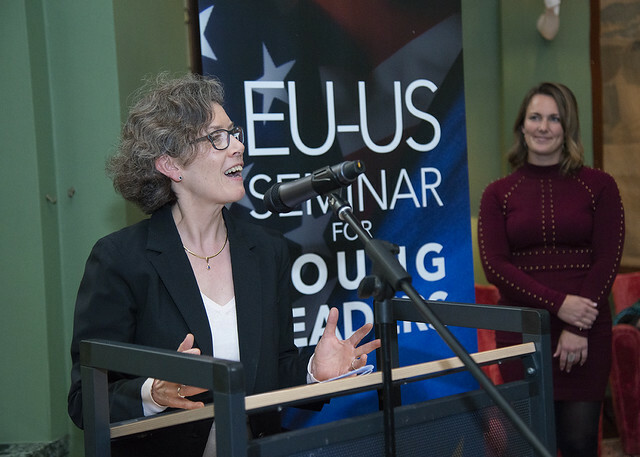 The Fulbright Commission would like to thank everyone who made the 2019 EU-US Young Leaders Seminar possible, including but not limited to seminar organizers and staff, external speakers and panelists, and — of course — the motivated, inspiring participants who traveled from across Europe to be with us.